June 29, 2016 marked 60 years since the passage of the Federal–Aid Highway Act and the Highway Revenue Act of 1956. These acts created and funded the existing interstate highway system of over 40,000 miles that we know today. The highway system was renamed the Eisenhower Interstate System in 1962 and for good reason. President Eisenhower is credited as being the policy leader in the enactment to implement and fund this grand public works project. As a renowned general of WWII, Eisenhower knew he needed strong and trustworthy advisors to succeed in his top domestic priority. The need for a coordinated highway system had been evident for many years. Several pieces of federal legislation were enacted during the first half of the 20th century but were unable to keep pace with the growing vehicular usage. It seemed that such a large project was beyond the grasp of the country. As president, Eisenhower was certainly privy to the inadequate roadway status and the need for attention. In addition, his experience in the Armed Forces gave him at least two major experiences that bolstered his priority for a major highway initiative. President Eisenhower introduced his “Grand Plan” for the interstate system at the National Governor’s Conference in 1954. A room full of governors was not a friendly bunch for supporting a federally driven highway plan, its grandness notwithstanding. Two years earlier, the governor’s conference was extreme to the point that they demanded the federal government get out of the road building business and leave it up to the states. As a Republican, Eisenhower tended to agree that there was too much federal encroachment on the states. But due to his experience, his view on this issue was different. The proposal stunned the state leaders in its boldness. The Grand Plan was in play and the president solicited the help of the governors to help determine how to implement it. The president, however, did not simply leave the proposal at the door of the governors. He quickly formed a plan of attack on the executive side of the federal government. Two committees were created. An in-house, interagency committee of major affected offices charged with developing recommendations to a second “external” committee who was charged to develop a plan by working with the governors to be submitted to Congress. Ret. General Lucius D. Clay was willing and able to accept the challenge to chair the external committee. At the time of the selection, Clay was a titan of industry, serving as chairman of Continental Can Company and well connected in American business. But it was his prior experiences and personal relationship with the president that made him an obvious choice to move the Grand Plan from idea to accomplishment. General Clay was the consummate public administrator clothed in military attire. His trajectory through the ranks of the Army to a Four Star General was accomplished without ever commanding in conflict. Of all the many responsibilities Clay had tackled during his career, perhaps the knowledge he gained from governor of occupied Germany set him apart from other potential candidates for the Grand Plan implementation. Germany’s financial apparatus was broken and Clay had to fix it; thereby learning, on the ground like no other, a full understanding of finance. The direction was set, the timing was ripe and now the president had marshalled the resources to finalize a funding plan that could reach a consensus. Many years of visioning, planning and negotiating culminated under an administration that vividly saw the need for such a large public undertaking. 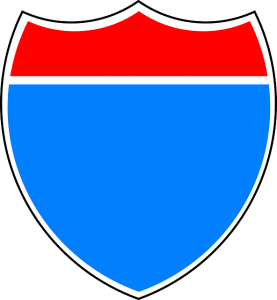 Public policy decisions, its’ funding and actual implementation, can often be described as “excruciatingly slow but exquisitely fine.” The highway system of America is no exception. Author: William E. Baker, Ph.D. is the executive director of the A.L. Burruss Institute of Public Service and Research at Kennesaw State University. He is also an assistant professor of public administration at the same institution. Contact: [email protected].